How would you like to manage your pain without addictive medications or painful surgery? According to recent studies, three out of every four elective orthopedic surgeries could have been avoided using a regenerative medicine procedure. Are you frustrated by the band aid treatments such as pain meds and cortisone injections that only cover-up the pain? Are you afraid of the risks and downtime associated with surgery? Avoid surgery and achieve better results with tested and proven medical treatments using the body to heal the body. Regenerative medicine is the future of medical technology that includes faster recovery times and eliminates the need for addictive medication. Regenerative medicine completely eliminates the need for opiates and other painkillers that lead to addiction and withdrawal. Reduce inflammation and successfully treat sports injuries, lower back pain, other spinal injuries, arthritis, premature aging and more. Call (248) 216-1008 and schedule your visit to our office in Rochester Hills, MI. Reduces arthritis inflammation and pain. Regenerative medicine stimulates cartilage regeneration; which prohibits the deteriorating effects of arthritis and disease. There are many benefits in regenerative medicine. Medically proven advancements have paved the way for you to enjoy faster recovery time and better results at lower cost. Regenerative medicine is an advanced field of medical research enhancing the management of acute or chronic pain treatment including arthritis and rheumatism. Contains a variety of healing factors proven to enhance bone and soft tissue healing for people of all ages. This new medical advancement works faster with shorter recovery time. Prolotherapy is a recognized orthopedic procedure that stimulates the body’s healing processes to strengthen and repair injured and painful joints and connective tissue. Adult stem cells are the most potent healing cells we have in our bodies. This new medical breakthrough and advanced technology provides healing and treatment without surgery. Utilizing advancements in technology, scientists have discovered how to harness the human body’s natural ability to heal and direct those cells to stimulate regeneration of chronically injured tissues. These procedures are far less invasive than their surgical alternatives, resulting in significantly less pain following the procedure and far faster recovery times. Utilizing the same technologies currently being used at major medical facilities such as the Mayo Clinic, Dr. Nabity will remove and isolate the cells in your body responsible for stimulating the healing process prior to re-injecting them directly into your damaged tissues. All injections are performed with ultrasound or fluoroscopic (x-ray) guidance to assure precise localization of the injection into the exact location of the damage. The Regenerative Medicine procedures performed in our clinic are medically proven, with new studies being published monthly in major medical journals. I’m Dr. Thomas Nabity. I work with frustrated patients suffering from pain who are motivated to find an alternative to drugs and surgery. Even if you think you have tried everything and have no option, I’m here to tell you that we can eliminate your pain and give you back the ability to do the things you love to do. We help people in chronic pain who are looking to alternatives to drugs and surgery who want natural solutions to pain relief and long to be in control of their health once and for all. Dr. Thomas Nabity MD was one of the first physicians in the Metro-Detroit area to incorporate these regenerative medicine procedures into the treatment options for his patients. Dr. Nabity is double Board Certified in both Physical Medicine and Rehabilitation and Pain Medicine. 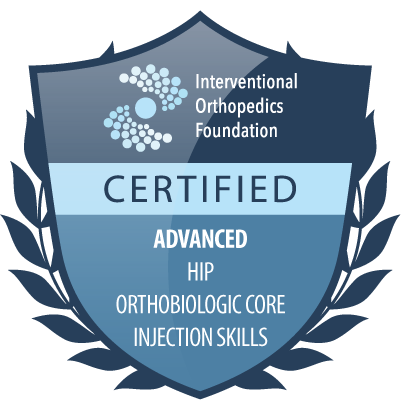 He has undergone additional training in order to gain the knowledge to properly implement Regenerative Medicine, and has successfully helped hundreds of his patients eliminate their pain and avoid surgery. Dr. Santa Ana is Board Certified in PM&R and Electrodiagnostic medicine. He is a physician specializing in Interventional Sports, Joints, and Spine treatments. He received his medical degree at the New York College of Osteopathic Medicine and his specialty training in PM&R at The Walter Reed Army Medical Center, Washington DC. He is a Veteran and was a physician in the US Army, treating our Nation’s heroes’ musculoskeletal conditions and getting them back in the fight. He brings this same knowledge and skill set to his patients in our community. Please note results vary from patient to patient. Discover answers to your common questions about regenerative medicine and learn more about the research and development of this new and exciting area of science medicine.